The other day, both Sajan’s parents and my parents came over for our second annual gardening extravaganza. 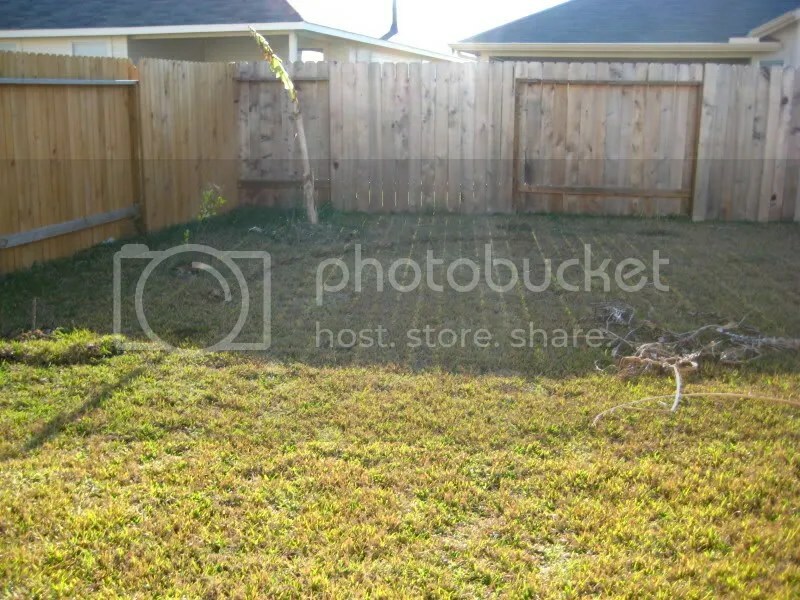 Sajan outlined the L-shaped space the backyard garden would need. With a pick axe and shovel, we dug out the grass. This took at least a week. Sajan felt a little bad removing the new grass that had come with the house, but we both knew it had to be done to start phase one of beautifying the backyard. A large mound of once thriving grass began to pile to one side of the soon-to-be garden. The sun dried it up. We started to pile it into trash bags, but there was just way too much grass. Now it just sits there. Maybe it will turn to mulch. Or something. The area the grass pile takes up right now will be our compost pile in the future. We dumped fresh soil that Sajan had picked up in a big truck from Wayne’s Landscaping off of Beltway 8 and 288. The natural soil below is just too thick and clayish. The plants are small, but with a little love, a lush forest they will become. There are curry leaves, beans, papaya, banana, guava, citrus, jasmine, tomato, mint, onion and hibiscus scattered around. Phase two will involve cutting out a peanut shaped area on the other side of the backyard, kind of like an island. 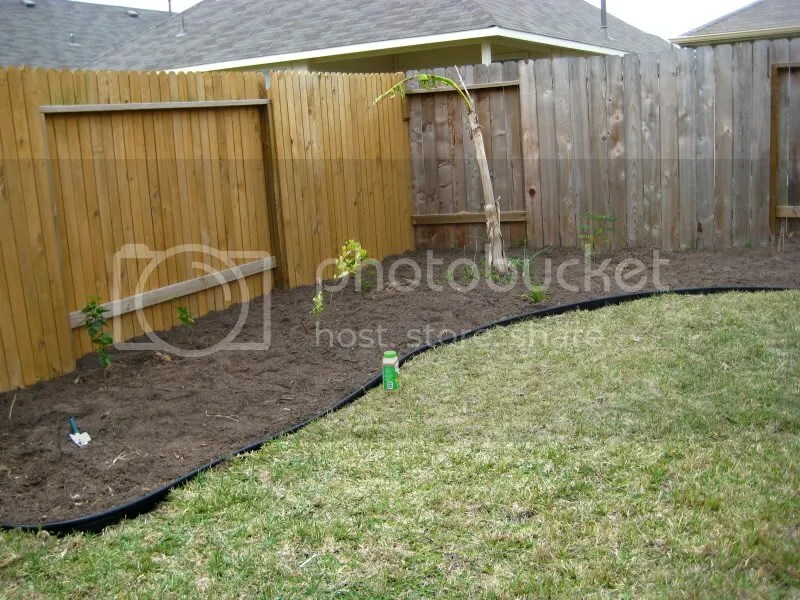 We’ll plant two fruit trees with flowers, succulents and cacti in between. This entry was posted in A Tale of Two Homeowners, kerala and tagged gardening, mulch, plants, soil. Bookmark the permalink. 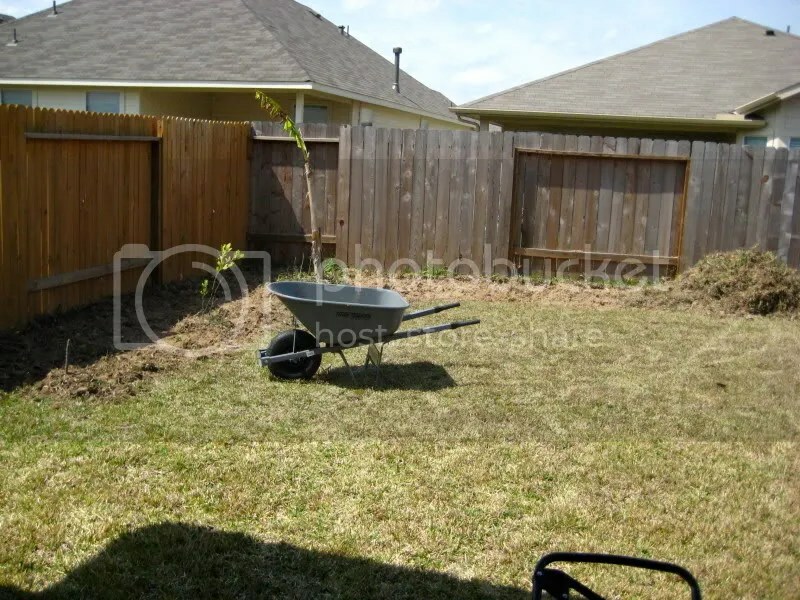 I agree with Rishi, you definitely have to mix the soil and gardening is hard work in Houston…but well worth it. Thanks for sharing your new garden. I’m inspired!! !